Mass-manufacturing automobiles usually relies on equipment and conveyors to move the parts to a location where hundreds of workers are tasked with certain functions in assembling the vehicle. The engine behind all of these manufacturing processes utilize various air compression and gear motor systems that keep the process moving. 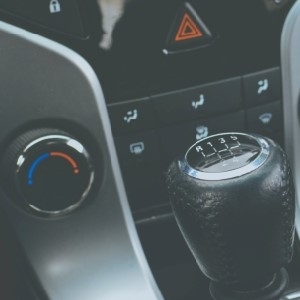 A gear motor that utilizes gear reduction is vital to the mass production of cars in the automotive industry. When it comes to the operations of an automotive manufacturing plant, a lot of equipment will be involved. Manufacturers of these machines may recommend the needed industrial components like gear motors to be used for such equipment. These motors are typically connected to gearboxes as a gear motor is used to drive lifts, conveyors, and automated machinery. Various car parts, including the chassis, doors, and engines, are very heavy thus require the use of a gear reducer to efficiently move the parts down the assembly line. A gear reducer is a combination of gears that reduce speed in order to maximize torque. This is important to the mass-production of cars because conveyor systems that haul car parts down the line require a slow speed for workers to work on, while having the right amount of torque to successfully and efficiently haul these heavy parts down the line. A slow speed is required for assembly lines to allot the assembly line workers the necessary amount of time to perform their duties. Using a gear reducer is vital to this since it reduces the speed of the conveyor line while providing a high amount of torque to pull the parts. When you’re in need of a gear motor or reducer for your automotive application, we at Bauer GMC have the products for you. We understand the importance of having the right type of motor for your application and how it can help maximize productivity within your operations.